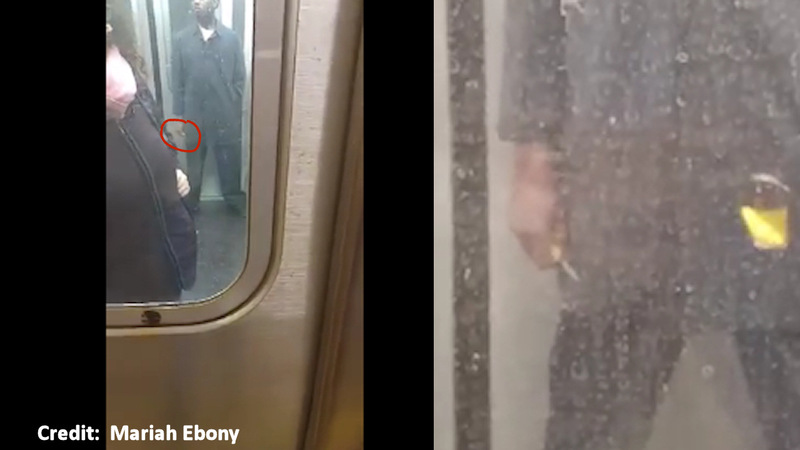 NEW YORK (WABC) -- A straphanger captured video of a man openly holding a small knife in his hand while riding the subway in Brooklyn Thursday. Police say 31-year-old Ysaac Paul can be seen on the video riding the Q-train holding the small knife around 2 p.m.
Police confronted the suspect when straphangers alerted them. Paul is charged with resisting arrest, menacing, criminal possession of a weapon, harassment, and disorderly conduct. Mariah Ebony captured video of the incident and posted it on Facebook.